Christmas is a time of year where traditions play an important role to families all around the world. One of the most important traditions is what we eat. 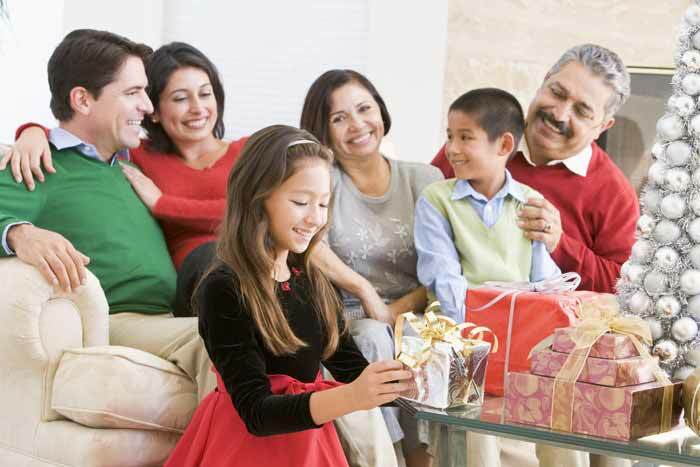 Christmas is a time of year where traditions play an important role to families all around the world. One of the most important traditions is what we eat. Growing up in a place like Miami you tend to experience a little bit of everyone’s special dish from places like Cuba to Honduras and as far down as Paraguay. As I have come to learn about the various cultural differences, there seems to be a consensus that pork is on everyone’s plate at Christmas time. Cubans have a very unique way of roasting pork. It usually involves using the “caja china” in the backyard starting as early as 8 am. They usually accompany it with congri, which is rice and beans cooked together. Yuca with mojo (garlic sauce) is another staple with of course, plantains. For dessert, flan is always on the table. Puerto Ricans tend to eat the same except they eat arroz con gandules (pigeon peas). Now let’s not forget the most famous Christmas staple from the “Isla Del Encanto” the coquito. It is their version of eggnog minus the egg and of course the main ingredient is their very own Puerto Rican rum. Speaking to friends from various parts of Central America, they all seem to share their love for the tamal. In Honduras and Nicaragua it is called the Nacatamal, which is traditionally made with a corn based dough filling and pork. Click here for an authentic step-by-step recipe. As I mentioned before, pork is also on the menu as their main dish. For dessert Torrejas must be on the menu. It is a bread based dessert that is topped off with almíbar (sugar topping). Like the Puerto Ricans, they too have a drink similar to eggnog called rompopo, which calls for any strong white liqueur (white rum or aguardiente). Being from Paraguay, I discovered that we eat completely different than any other Latin American country. Because of the intense heat during this time of year we tend to eat most of our dishes cold. For example, the rice salad I grew up eating is usually made in the morning and refrigerated until dinner time. It is a side dish served with ham and pineapples. Another side dish is the sopa Paraguaya which is the most important dish for us. Many say it looks very much like cornbread. The clerico is the most famous drink for Christmas time. It is a wine based drink, much like the sangria, but we use pineapple, grapes, and melon. Christmas is a time where cooking brings family and friends together. Whether it be eating pork or drinking rompopo, it is a time when everyone slows down and really enjoys delicious food and timeless memories.